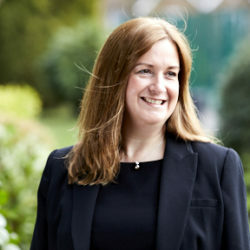 Louise handles cases involving both serious injury cases and clinical negligence. She has particular expertise in brain injury and catastrophic injury cases, and has a track record in recovering multi million pound settlements for clients. Qualifying in 2001 after training at a national practice, Louise has worked at Partner level since 2008. Louise joined Jobling Gowler in 2019 as a Partner and Director. Louise is known for her technical knowledge, her strong relationships with her clients, and her empathetic approach. Well regarded by clients and experts alike, Louise is regularly recommended to her clients by other professionals in the field. Louise’s sensitive approach, coupled with her technical abilities has enabled her to successfully undertake work for clients who have suffered historic sexual abuse. Such claims include both CICA (criminal injuries compensation claims) or equally claims through the courts against public bodies. Louise acts for clients from across the country, but she works mainly in the North Manchester and Lancashire areas. She bases herself remotely, to provide an outreach service for Jobling Gowler’s clients. As part of the Management Board at Jobling Gowler, Louise is involved in strategic growth, development and management of the Practice. Louise was appointed as Deputy District Judge in 2019. During her career, Louise has been heavily involved in brain injury charity work. Through which, she seeks to ensure support is available to those who have experienced significant injuries and their families.